I’ve spent a second look to this billboard the first time I saw it when I’ve returned from my vacation weeks ago. 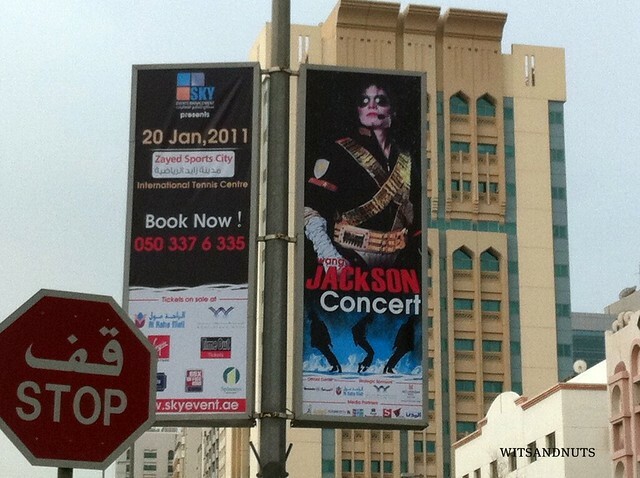 I wondered if I missed a lot that I did not know that there will be a Michael Jackson related event in the UAE. Hence, “his photo” on the promo material. (Not that my concerts attendance is impressive, but I will go crazy in case I will miss a huge one, at par with Linkin Park’s.) Only this morning on my way to the office that I’ve taken a closer look and noticed that he is actually Wang Jackson. I felt a little disoriented about his identity, me being totally clueless, how come the credible Sky Events Management will bring him in the Gulf if they are not so certain about his marketability. A bit of googling revealed that Wang Jackson is a Chinese artist who became popular due to his resemblance to the late great MJ. Incidentally, they met each other before the latter’s death in 2009. 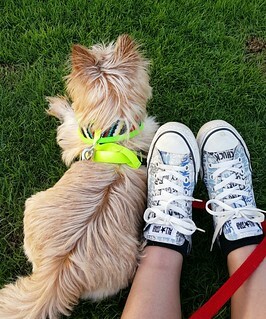 This is claimed to be one of Wang Jackson’s biggest dancing concerts. For those who are interested, you may catch him on 20th January, 2011 at Zayed Sports City-International Tennis Center. Doors will open at 7:00 PM and show will start at 9:00 PM. Tickets are priced at AED 450 (VIP), AED 300 (Diamond), AED 150 (Gold), and AED 100 (Silver). Tickets are still available via Virgin Megastore or call 02 6334630.
kamuka nga ni MJ. mapapa second look ka talaga. Pero walang any chinese look sa advert. hehehe nadaan na make-up. Will you be watching? hahaha… sounds like wang bu. kamukhang kamukha.